For lovers of classic cars, trucks, and motorcycles, there are few experiences as satisfying as attending a classic car show, where the pleasure of seeing a rare, mint condition vehicle firsthand is a common occurrence. Thousands of vehicle models have come and gone over the more than 100 years that have passed since Henry Ford made the personal motor vehicle a reality, and while not every single one of those vehicle models has been heralded as a standard bearer over the years, each one nevertheless carries with it the weight of both cultural history and personal memory. When it comes to feeling the wistful nostalgia of times gone by and the deep admiration elicited by world-class functional design, the classic car show is truly in a class by itself. 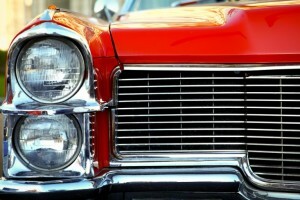 For the visitor to Niagara with a love of classic cars — or the visitor to Niagara who wants to show off a classic car, truck, or motorcycle he or she proudly owns — there are dozens of events held throughout the region all year long. If you’re headed to Niagara Falls in the next few weeks or months, however, here are four annual classic vehicle events that shouldn’t be missed. Held each year in Niagara-on-the-Lake, this year’s Kinsmen Annual Show and Shine will take place August 9 at Kinsmen Scout Hall. Registration for vehicles is from 8 a.m. until noon, and each vehicle entered costs $5. The show is open to spectators from 9 a.m. until 4 p.m. for $3. Children under 12, however, get in free. A St. Catharines classic car event, the Classic Car and Truck Show takes place at the CAA Car Care Centre on August 16 from 9 a.m. to 3 p.m. There is no charge to show a vehicle or attend this event thanks to the sponsorship of CAA Car Care Center. Held every year as part of the Niagara Falls Blues Fest, this classic car show is actually a cruise, which makes just being in Niagara Falls when all those beautiful relics of the past roll by a memorable treat. Thursday, September 10 at 5 p.m., anyone with a classic car, truck, or motorcycle is encouraged to meet up at Sal Maglie Stadium. The cruise will leave from there at 6 p.m. and will go down Pine Ave. to Old Falls St. Set up camp along the route, or wander over to the meet-up spot at 5 p.m. to get a good look at some beautiful old vehicles. Part of the Niagara Regional Exhibition held in Welland every year, this large and very popular car show features well over 1,000 different classic vehicles that are worth millions of dollars. 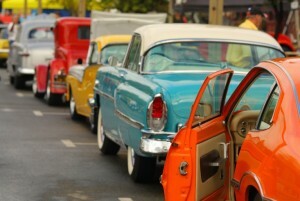 Hosted by the Sunset Cruisers Car Club, the car show also includes a swap meet. You can register your vehicle for $10 and set up a booth to sell your secondhand goods and wares for $10, too. Spectators pay just $5 to get in, and the event runs from 9 a.m. to 4 p.m.
Head to Niagara, and experience you love of classic cars in one of the world’s best-loved vacation destinations.